What is a Content group? A content group is a set of web pages which should be based on same/similar theme. 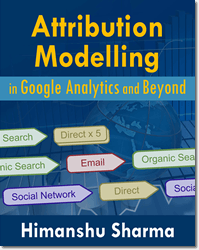 So in case of a blog, a content group can be a set of web pages which are based on same/similar topic (like ‘Attribution Modelling’). In case of an ecommerce website, a content group can be a set of web pages which sell similar products (like ‘shirts’). 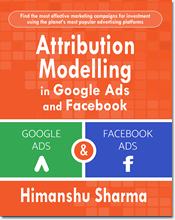 #1 To change the way GA label and aggregate the incoming traffic for different types of contents on your website. #2 To quickly check the performance of a content group or compare the performance of different content groups with each other. Content grouping is specially useful if you have got a big website with hundreds, thousands or even tens of thousands of content pages and you can realistically measure the content performance, only at the group level and not at the individual page level. All the web pages which sell men shirts belong to ‘Men shirts’ content group. 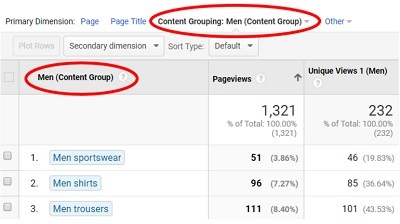 Similarly, all the web pages which sell men trousers belong to ‘Men trousers’ content group. Now, all the web pages which sell women shirts belong to ‘Women shirts’ content group. Similarly, all the web pages which sell women trousers belong to ‘Women trousers’ content group. 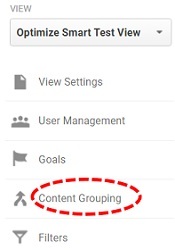 You can create only 5 content groupings per GA view. 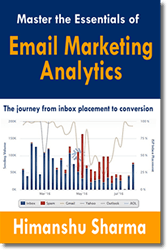 So you need to be selective about what you choose to use as content grouping. 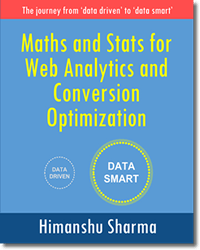 For example, if you run a blog then consider using top traffic content categories (say ‘Google Analytics’, ‘Google Tag Manager’ etc) as the name of your content grouping. 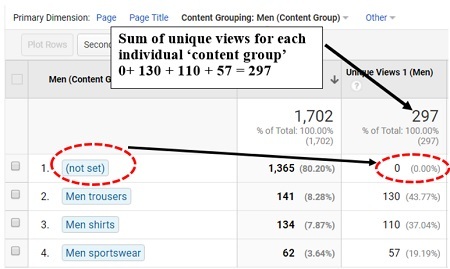 If you run an ecommerce website then consider using top selling product categories (like ‘Men Clothes’, ‘Women Clothes etc) as the name of your content grouping. Another reason to be selective about what you choose to use as ‘content grouping’ is that, you can not delete a content grouping once it is created. 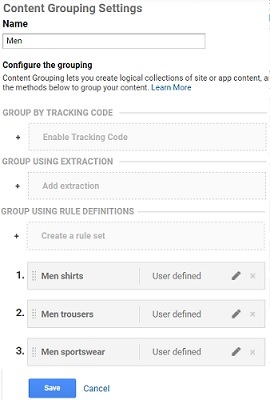 When you turn off a content grouping, it is no longer available in your GA reports. 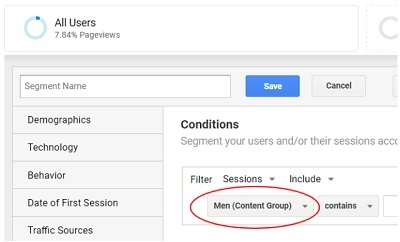 Use a test view to test your content grouping before you set them up for your main view. Though you can create unlimited number of content groups within a content grouping, you still need to be selective about what you choose to use as a content group. This is because creating content groups is not always easy and sometimes may require significant development resources. 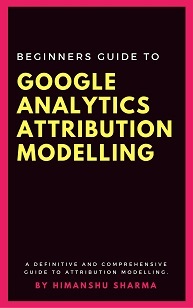 For example, if you run a blog and one of your content grouping is ‘Google Analytics’ and ‘Attribution Modelling’ is one of the top traffic content category then consider creating a content group named ‘Attribution Modelling’ within the ‘Google Analytics’ content grouping. 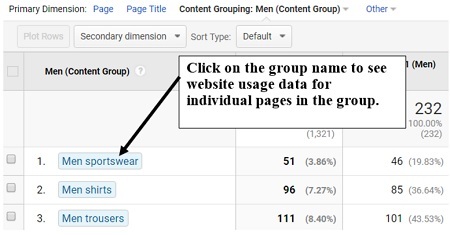 Step-8: Click on ‘Save’ button and wait for at least 10-20 min to see the content grouping data in your reports. 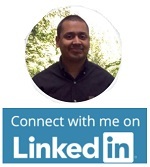 Note (1): You cannot create content groups retroactively. 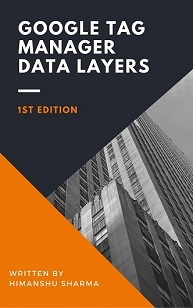 The content groups that you create show data only from the date they were first created and going forward. 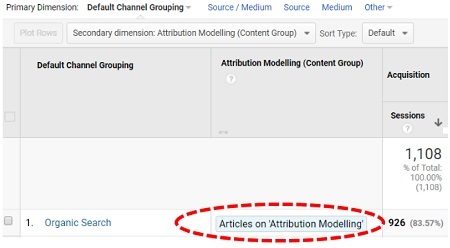 Once you have set up content grouping and corresponding content group(s), they are available in various GA reports either as primary or secondary dimensions. 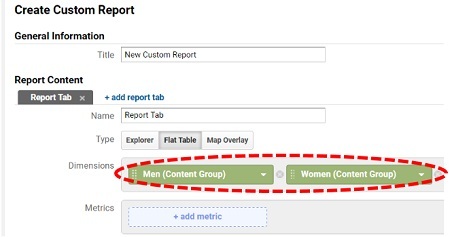 Similarly, you can use ‘content grouping’ while creating dashboards in GA. 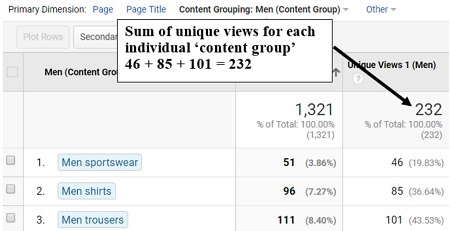 In the context of ‘content grouping’, unique views is the number of unique GA sessions in which a web page that belong to a content group is viewed one or more times. (not set) refer to those web pages which are not part of any ‘content group’. 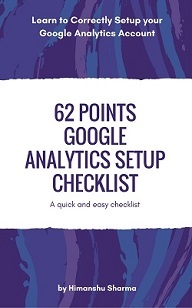 Google Analytics does not calculate and report on unique views for the web pages which are not part of any content group. 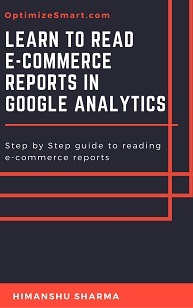 Through this report, you can understand how users move across different product categories on the website. 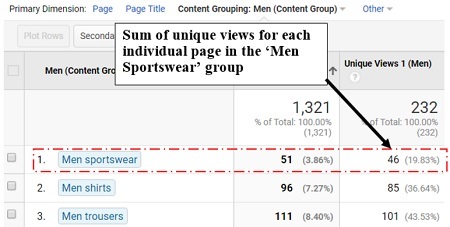 For example, from the report above, we can conclude that the users who first showed interested in ‘men trousers’, later showed much more interest in ‘men shirts’. So may be shirts are good cross sell with trousers? 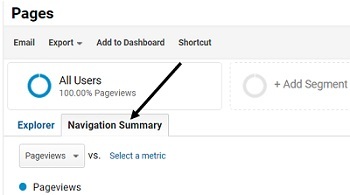 This is the kind of insight you can get from the ‘Navigation Summary’ report once you use it with content grouping.